As New York State’s second-largest city, Buffalo boasts a dynamic economy and an industrious populace. From the Niagara River to Grover Cleveland Park, the city’s residents deserve fastidious yet compassionate legal representation for their personal injuries as they seek justice for their grievances. With several major highways running through its borders and a significant freight port near its heart, Buffalo is the site of numerous car and truck accidents. Unfortunately, these incidents occasionally result in serious injuries and fatalities. In many cases, Buffalo-area vehicle accidents are caused by drivers and/or trucking company owners who fail to take adequate precautions to ensure the safety of other drivers or who disregard trucking regulations in an effort to expedite their deliveries. Our vehicle accident attorneys fight tirelessly to secure justice for those affected by reckless or negligent commercial drivers. 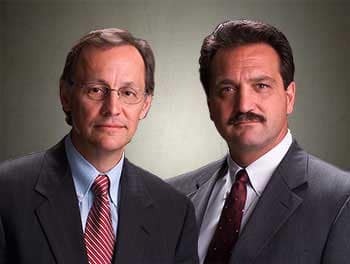 To learn more about working with a trusted Buffalo attorney, call our local office at 716.681.7190 or fill out the no-obligation contact form on our website. We look forward to evaluating your case and providing guidance on the best course of action.